For the past week I have been working on this project. 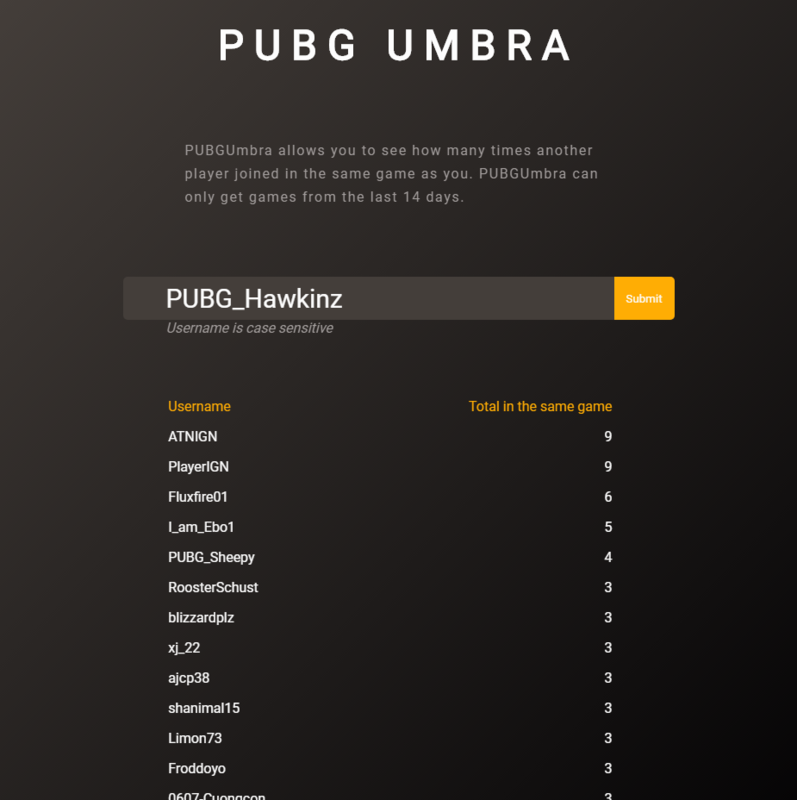 Long story short I made a website where you can see how often another player joined the same game as you. When you use it just make sure that the username is exactly as in game (inclusive caps). It can only get games from the last 14 days and it might take a while if you play many games.